These are insect refuge houses. Also can be used and placed where carpenter bees are causing havoc on your house. 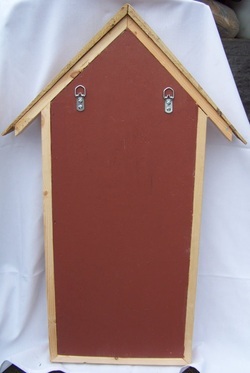 Treat the house boards and then place this where the Bees can access and drill and bore to their hearts content. Back with hangers in place ready for box to be hung.